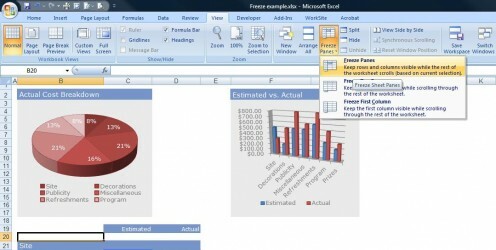 Microsoft Excel is a versatile tool that allows you to populate worksheets with over a million lines of data (in Excel 2007 and beyond). Excel also give you the ability to have hundreds of columns. With this amount of data it is often difficult to be able to see what a specific cell is because you may have scrolled down or across and no longer are able to see the headings. Therefore a great and simple tool that you can use to enhance the way you can view data and essentially always have column and row headers visible is the functionality of freezing a row or freezing a column within Microsoft Excel. When you have a simple table of data that contains many rows you will not be able to see all the data on one screen at the same time. As you scroll down the data you may not know which data relates to which heading as the headings haved disappeared as you scrolled down. 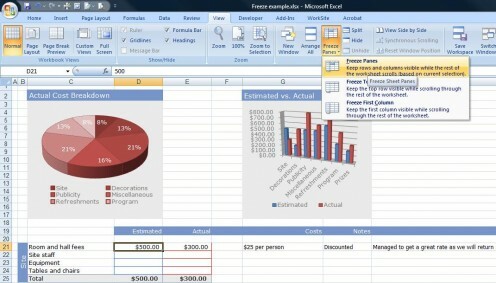 Microsoft Excel allows you to freeze the top row so that your headings are always visible when you scroll down making it easier to keep track of exactly what each column of data is. The top row is now frozen in place. As you scroll through your data the headings will remain at the top of the worksheet. When you have a simple table of data that contains many columns you will not be able to see all the data on one screen at the same time. As you scroll right any sub-headings you may have entered in the first column will disappear making it difficult to know what each row of data relates to. Microsoft Excel allows you to freeze the first column so that your sub-headings are always visible when you scroll right making it easier to keep track of exactly what each row of data is. The first column is now frozen in place. As you scroll through your data the sub-headings will remain at the left of the worksheet. In more complex worksheets freezing the top row isn't always suitable. 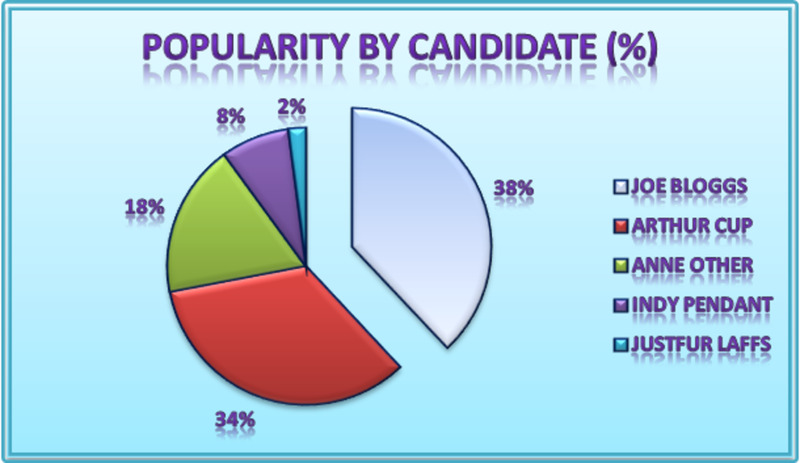 For example, if you have a large amount of data and some summary charts you might want the chart to always appear on the screen while you scroll through the data. Microsoft Excel allows you to freeze multiple rows at the top of the worksheet so that those rows are always visible when you scroll down. This makes it easier to update data and see the effect on a chart as you change the data. The first few rows are now frozen in place. As you scroll through your data the charts will remain at the top of the worksheet. In more complex worksheets freezing the top row or the first column isn't always suitable. For example, if you have a large amount of data with many column headings, and many row sub-headings you might want to review data for a column heading and a row heading. 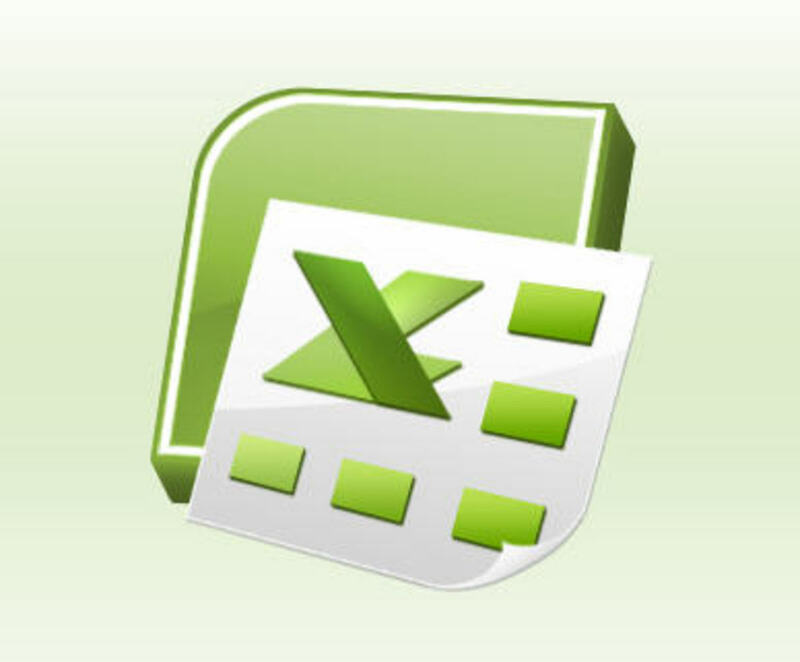 Microsoft Excel allows you to freeze a row and a column in the worksheet so that those rows and columsn are always visible when you scroll down or right. This makes it easier to review data in columns by sub-heading. The worksheet is now frozen at a row and column. As you scroll through your data the column headings and sub-headings will stay frozen. PDFelement vs. PDF Expert, which works better on Mac? I never knew how to freeze frames in excel. Your video and directions made it so simple to follow! Thanks! This is a wonderful hub and yout technical writing is very clear. Loving it! You are an .xls guru! Another great resource hub, SimeyC. Love the video, too! Well done. I would vote up if I could!